Last week, we had the honor of collaborating with Dr. Nido Qubein and the Ashley Leadership Institute in LaCrosse, Wisconsin. 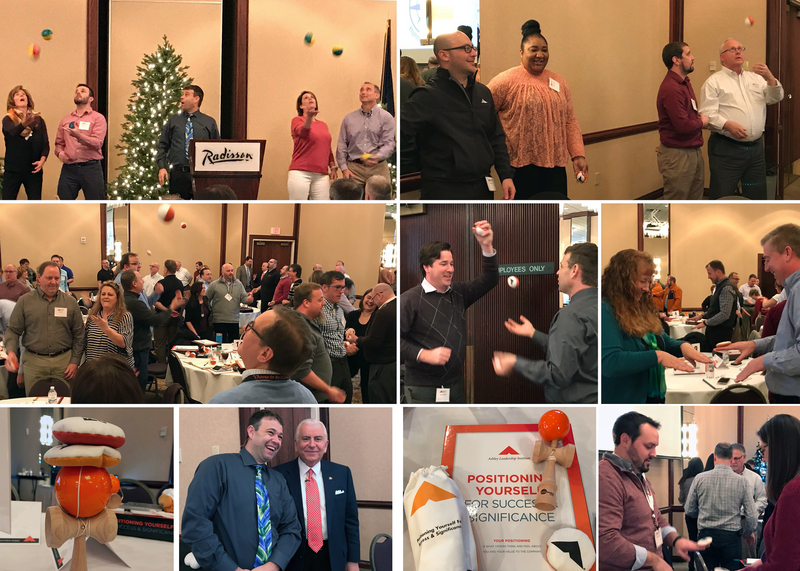 Dr. Qubein led a two day training focused on "Positioning Yourself for Success and Significance." 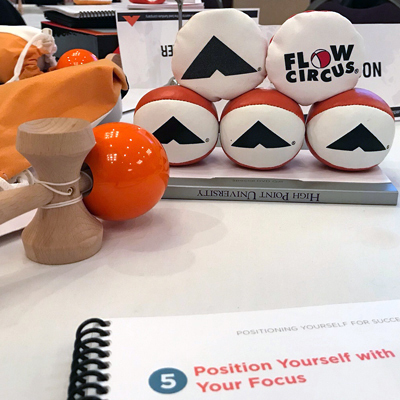 During several windows of time during the retreat, we utilized juggling and other skill toys to help participants embody the lessons of self-awareness, struggle, and success that Dr. Qubein delivered. 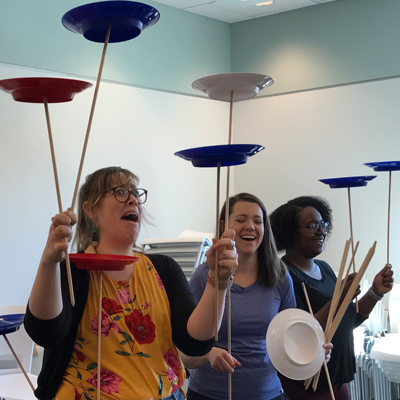 Similar to our October visit, the skill toys made an impact with this new set of participants. 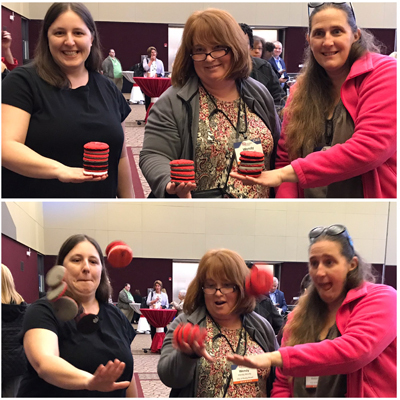 The images below show both the focus and fun inherent in the learning process. I also loved seeing how the toys inspired creativity even when not being played. We saw several fun statues and arrangements of toys on the tables at the end of day one.